The Radiance user interface is modern, fast and intuitive. With clear, legible layouts, integrated visualizations, effortless filtering, and snappy performance Radiance is both responsive and engaging. 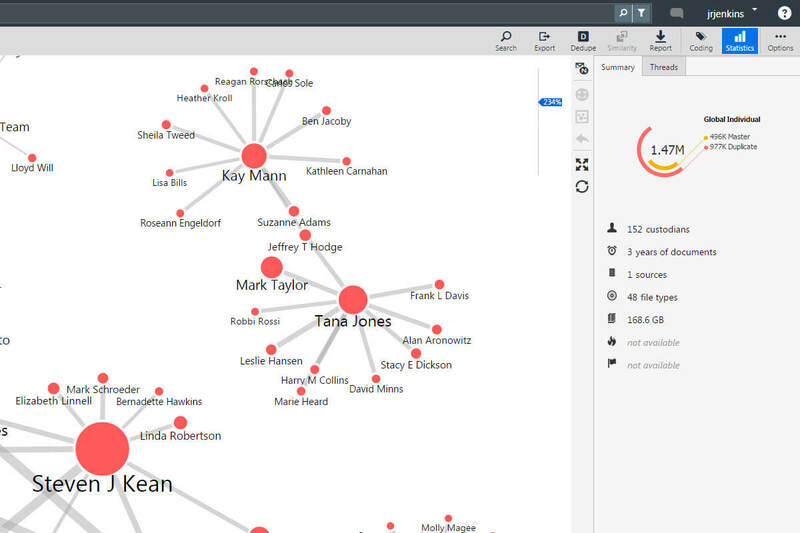 And by providing a flexible workflow during the analysis phase of any project, Radiance will quickly feel familiar and intuitive – turning subject matter experts into data scientists in minutes. 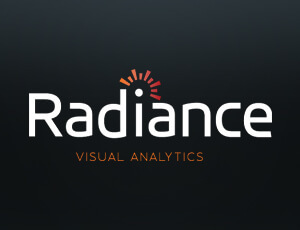 Perfect for non-technical users, the Radiance user interface is easy-to-use and master. Featuring integrated, interactive visualizations and clear data displays, Radiance speeds up data analysis on any-sized project. Most data analysis tools are complex and require hours of training or advanced degrees in statistics to use. Not Radiance. Designed for compliance and legal teams, Radiance minimizes the complexity of data analysis while improving the results. Large legible layouts accelerate and improve data analysis and comprehension. Dynamic statistics display and update key metadata about the current document selection whenever the user takes action on the data set. Clear targets on the Radiance action bar make additional features accessible at any time. Visualizations can be resized – and in most cases – refined with simple mouse inputs. Detailed breakdowns of all data sources, including by file type, custodian, dates and status. A high degree of interactivity from creation of the data set to fine tuning the visualization by adjusting or removing key criteria. The ability to zoom in and out, pan and select interesting features. Color coding to better highlight patterns of communication, concept clusters or keyword frequency. Mouse cursor “hover” windows which display document hit counts for visualized features. A convenient icon tool bar which enables single click switch from one visualization to another. The ability to go from a visual to a document list and back again. Comprehensive facets – custodians, dates, organizations, concepts and more – which are easy to review, sort and search. Document hit counts next to all facets quickly showcase the most, and least, common elements in each category. Bi-directional feedback in the facet pane enables users to start their analysis in the facet pane or in any of the visualizations. Complete the information below to ask a question about Radiance.